The Middle IMANI Coding and Technology Club provides coding classes to students from all 3 Montclair middle schools. 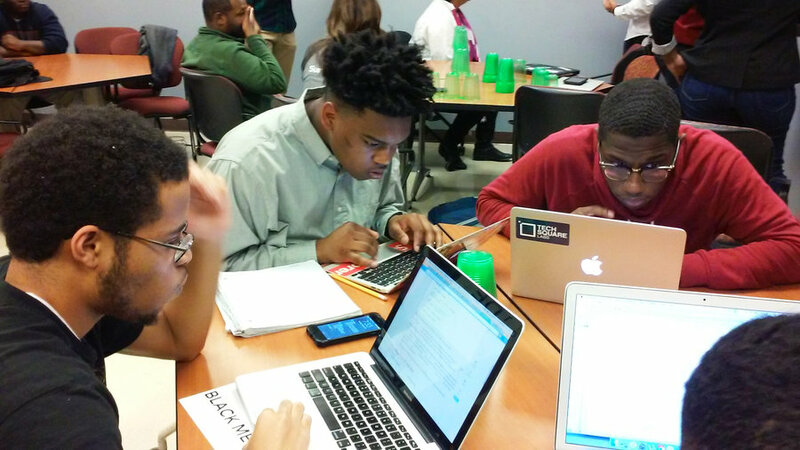 Offered in partnership with CodeAdvantage, the club provides technology support to children of color to help develop skills critical for success in high school, college, and beyond. The highly interactive, project-based coding classes allow the students to master the basics of coding by creating their own video game elements and animation. This fun and supportive process promotes critical reasoning, logical thinking, and creative exploration—skills that help bridge the digital divide and prepare students to excel in fields like Science, Technology, Engineering, Arts, and Math. Field trips to the Montclair Art Museum and Montclair State University help students understand technology in the context of real-world activities and careers.